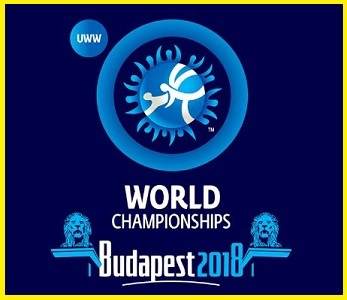 The 15th edition of the World Wrestling Championships-2018 was a set of combined wrestling events that was held from 20th October 2015 to 28th October 2018 in Budapest, Hungary. India is at the 17th place with 2 medals viz 1 silver and 1 bronze. Bajrang Punia clinched the silver medal in the event after losing to Japan's Takuto Otoguro in the 65kg category. Pooja Dhanda won a Bronze medal in the women's freestyle 57kg weight class at the event defeating Grace Bullen of Norway by a score of 10-7. Pooja Dhanda who hails from Haryana won silver medals in the 2010 Summer Youth Olympics and 2018 Commonwealth Games. Pooja Dhanda after this 2018 feat became fourth Indian woman to win a medal at the World Wrestling Championship. Earlier, only three Indian women grapplers Alka Tomar in 2006, Geeta Phogat and Babita Phogat in 2012 had won a bronze medal each at the World Championships tournament. Bajrang Punia who hails from Haryana is India’s freestyle wrestler who won a Bronze medal in 2013 world wrestling championships, bagged silver medal in 2015 commonwealth games, 2014 Asian games, and 2014 Asian wrestling championships. As of the 2018 win, Punia has total four silvers in his kitty. He has also won a gold medal at the Asian Wrestling Championship 2017, 2018 commonwealth games, and 2018 Asian games. It is an amateur wrestling world championship event organised by the United World Wrestling. It was started in 1904 with the Men’s Greco-Roman wrestling tournament. From 1951, the Men’s freestyle wrestling tournament started. From 1987, women’s freestyle championship started.